The Marauder JC PBP is one of the deadly Pot Belly Pig series of flies that is fast becoming one of the most successful flies for Salmon and sea trout throughout Europe. The real key when fishing this pattern is ensuring the boar bristle antenna are splayed out so they pulse in the water and don't matt down. The stiff bristled tail creates a commotion that grabs the attention of the fish. 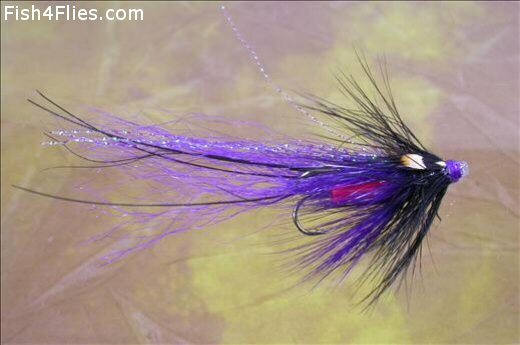 Currently there are no comments about the Marauder JC PBP fly pattern from other fly fishermen yet.